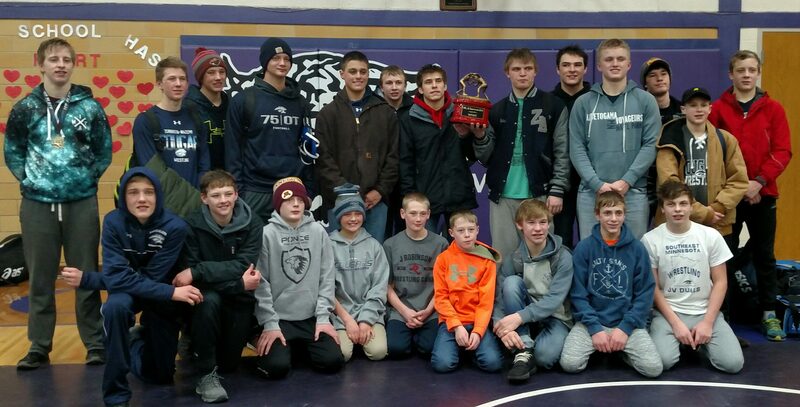 The team lost a couple of close duals to New London-Spicer and Minneota, but battled back with wins over St. Peter, Deer River, and DGF to earn the Pool 7 Championship. The youth wrestling program will celebrate our season with a party on Friday, April 13th at 6 PM at the school. See you there! The K-6th team finished 4-1 placing 5th at the NYWA Region 1 Qualifier in Eyota last weekend. The boys were able to top PEM, Cannon Falls, Faribault, and GMLOS while falling to KM. 11 individuals also advanced to the state tournament. They are: Jack Krier, Cain, Owen, and Ryan Lexvold, Kaleb Lochner, Brody Lohmann, Gunner Mancilman, Ben Murray, Zayne Novek, Lucas Schiell, and Brennan Sheda. The NYWA State Tournament will be April 5-8 at Mayo Civic Center in Rochester. 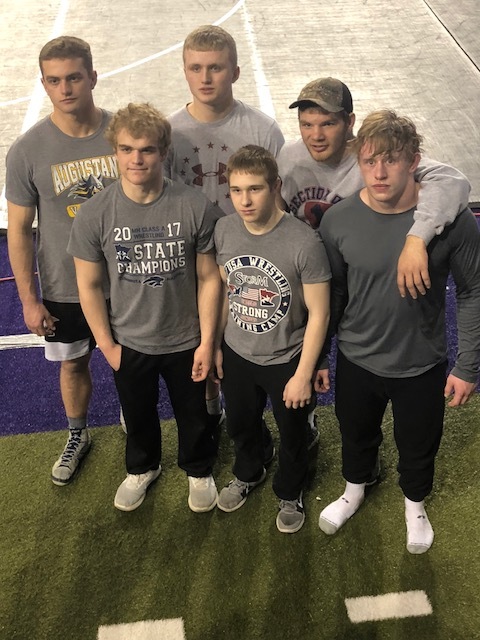 Five ZM wrestlers competed and one coached at USAW Folkstyle Nationals at the UNI-Dome in Cedar Falls, IA March 29-30. Junior participants were Michael Majerus at 120#, Tyler Soltau at 160#, Jacob Bennett at 195#, Jarrett Haglund at 220#. Jack Haglund was a Cadet at 220#. Caden Steffen was the coach in their corner. Jack Haglund placed 7th and the rest of the boys fell short of placing. All wrestled well exhibiting their toughness keeping matches within winning distance and their superb conditioning. We can very proud on how they represented ZM Wrestling. 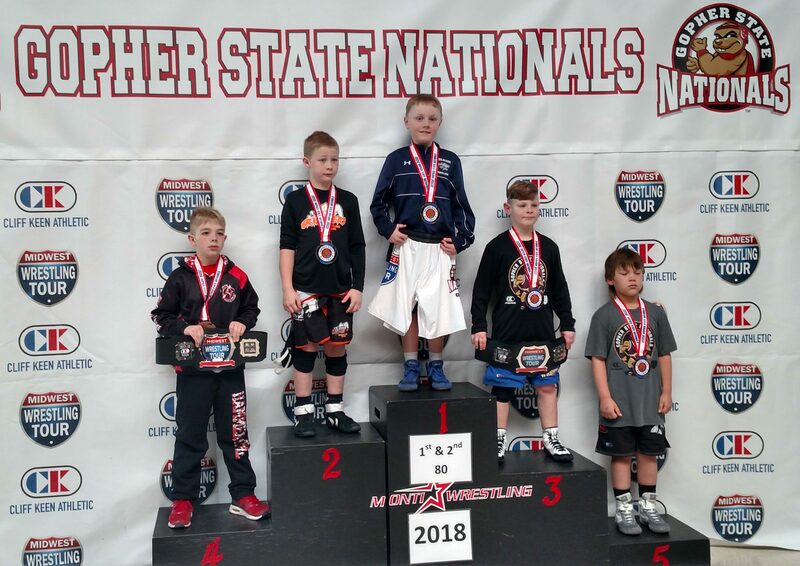 Jacob Bennett and Luke Tupper wrestled in Virginia Beach last weekend in the NHSCA High School Nationals. Luke finished 1-2 and Jacob fell just short of placing. 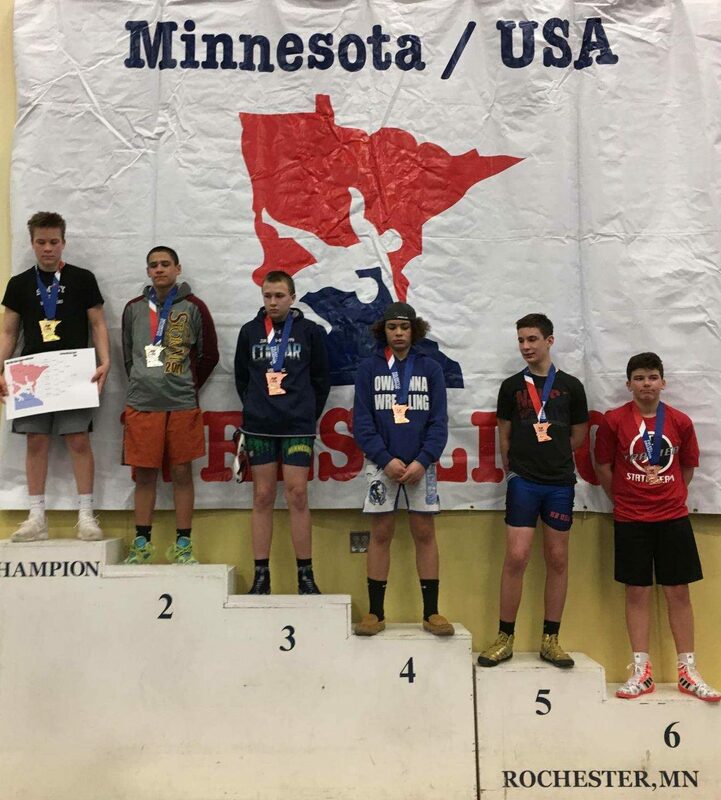 Over 2 dozen ZM wrestlers were competing somewhere this weekend from the NYWA Qualifiers in Plainview and Hayfield, MN/USA Kids State Folkstyle in Rochester, to the Jaycees Qualifier in Goodhue. 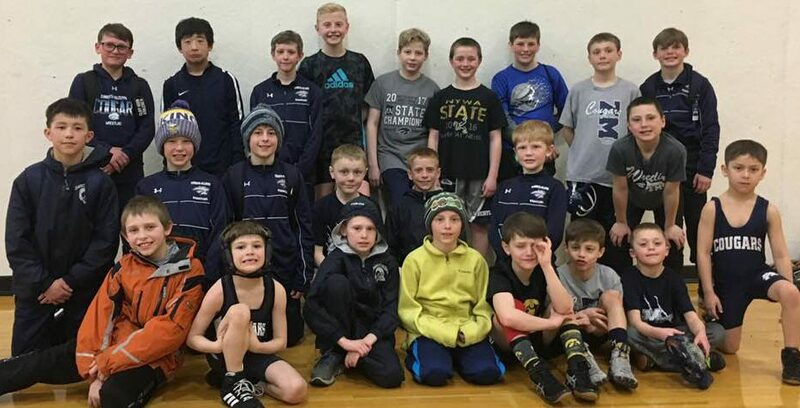 Great to see this level of participation this late in the season, including every one of our 7th grade wrestlers! 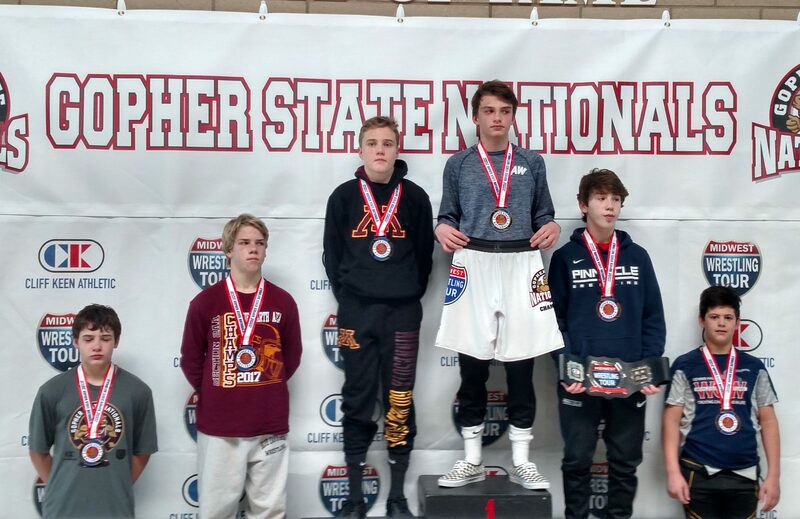 Cody Anderson had himself a great MN/USA State tournament, earning a bronze medal. Freestyle/Greco season is about to start. Starting Monday, March 12th, MN/USA sponsors a Regional Training Site at RCTC from 7:00PM to 8:30PM for Juniors and Cadets (schoolboys bring a partner). This is FREE, all you need is a USA card. There are also a couple other local club opportunities we’ll discuss after the banquet Wednesday. The K-3 team wrestled well today finishing runner-up in a 16 team field in Waseca. 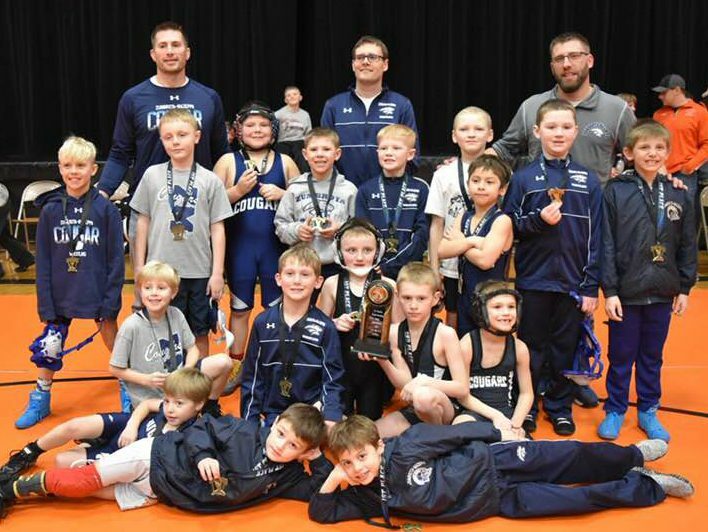 The Cougars were able to get past St. Peter, Shakopee, Northfield, while falling just short in the finals to Kasson-Mantorville. Fun day! The youth wrapped up their regular season practices last week. Thank you parents for getting your children to practices/tournaments, volunteering, and supporting your child through it all. Great memories made this year! We’ll practice Monday and Tuesday this week if they wish to keep scrapping and to get ready for postseason tournaments. The varsity will be introduced to the kids on Monday! State t-shirts will also be available for purchase at practice. More details to follow. 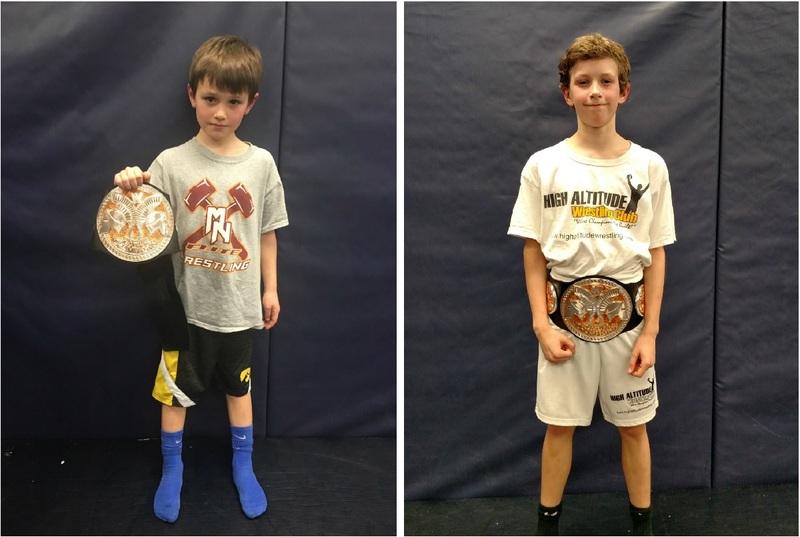 A reminder to 8th grade and under wrestling parents: if your child would like to wrestle in NYWA this year, please sign them up through the link sent to you via e-mail by Tuesday. Monday- Youth open mat/team practice 6 PM. Varsity introduced! Tuesday- Youth open mat/team practice at 6 PM. 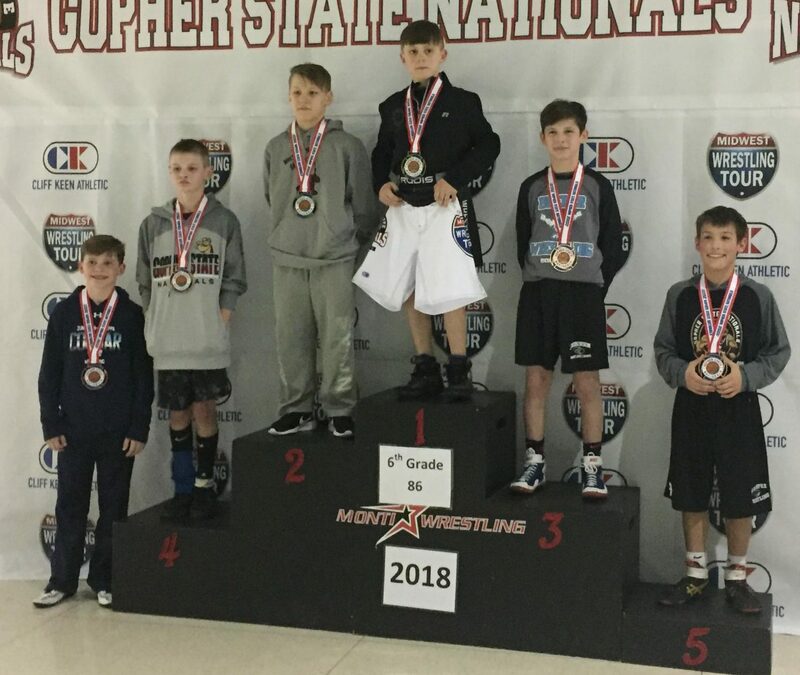 6 ZM wrestlers made the journey to Monticello this weekend for the Gopher State Nationals tournament to take on some of the best wrestlers in the Midwest and did very well. Owen Lexvold was able to win the championship. Ryan Lexvold earned runner-up honors. Kaleb Lochner battled to a 6th place finish. Ben Murray was 1 win shy of placing in his bracket. Cain Lexvold was 1-2 and Jack Krier unfortunately had to injury default, but will be back at it soon. 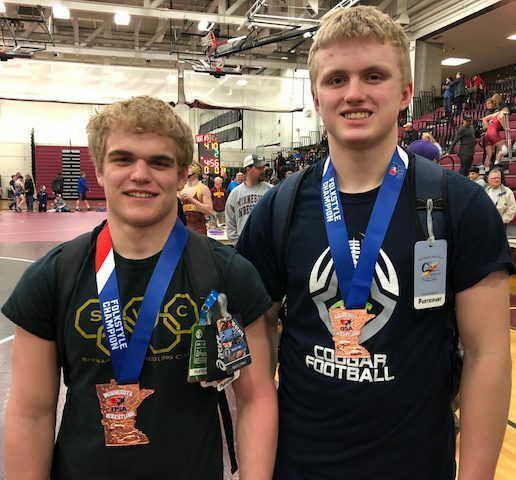 Wrestlers in the news: Congrats to Luke Tupper for committing to wrestle for Concordia in Moorhead in 2018-2019! PAW award winners were Kale Johnson, Tadam Kahl, and Ashtin Garcia. Student of the Month winner was Braxton Mehrkens. 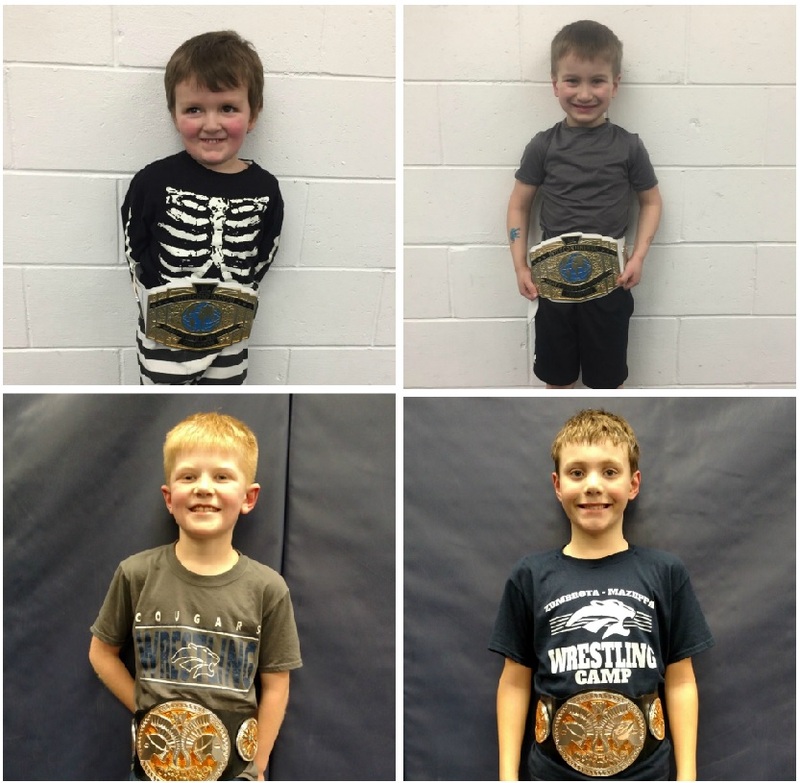 Our youth wrestlers of the week are Patrick Fruth, Evan Blanck, Chase Dohrn, and Cain Lexvold. Patrick is in PreK and son of Brian and Kristin. Evan is a kindergartner and son of Brian Blanck. Chase is in 3rd grade and son of Perry and Carrie. Cain is a 4th grader and son of Chris and Lacey. Thursday- Youth open mat at 6:00. High School varsity at home vs winner of St. Charles and WK at 7 PM in Mazeppa. Saturday- Section 1A semi-finals (11 AM) and finals (1PM) at Mayo Civic Center. Full bracket. 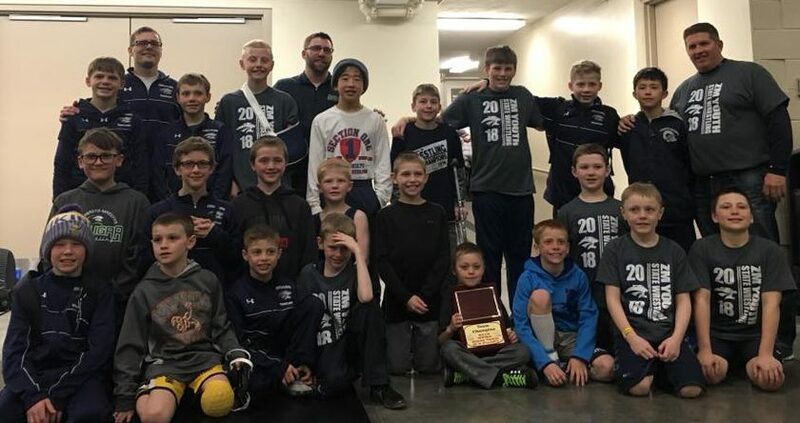 Two ZM youth wrestling teams took part in the St. Charles dual tournament on Saturday. 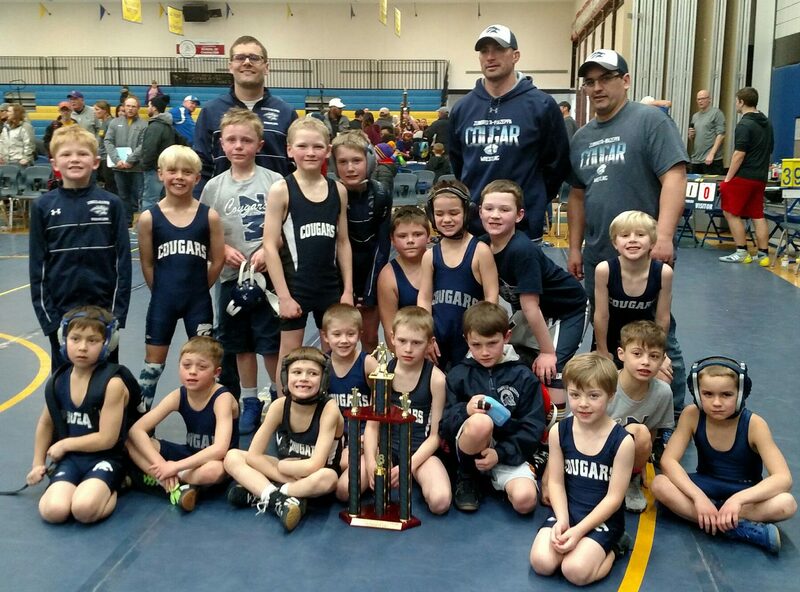 The Junior team (K-3rd grade) earned 1st place with wins over KW, PEM, and Chatfield. The Senior team (4th-6th grade) earned 4th place, opening with a win over PEM then falling to KW and KM. Wednesday- Booster Club Meeting at Zumbrota VFW at 6:30 PM. Thursday- Youth open mat at 6:00. High School PI and PEM at home- Senior Night. Friday- Youth individual tournament in Lake City. Saturday- Youth individual tournament in Lakeville and Grand Meadow. HVL JV Tournament in Goodhue.